Born as a workshop the project was initially aimed at minor girls subject to criminal action who live in the camp. The Roma settlement, which was created by the institutions in an effort to clear the city, is the largest in Rome. It is now home to about 1,400 people, including large numbers of teenagers and children from various Roma settlements around the city, most of which have now been abandoned. A number of social groups, from various countries and with different backgrounds, live together in the settlement. Since December 2013, the workshop was carried out by three trainers Rosa Ciacci of qwatz, Ciro Natalizio Paduano and Fabio Pennacchia who built a concrete example of cooperation among the minors and themselves, by teaching artistic techniques such as collage, photography, the use of chalk and drawing. They approached the concept of identity (people identity and space identity) by considering the images as an horn-book to be used for communication. The trainers have identified the need for the guys in the camp to have a space of aggregation. 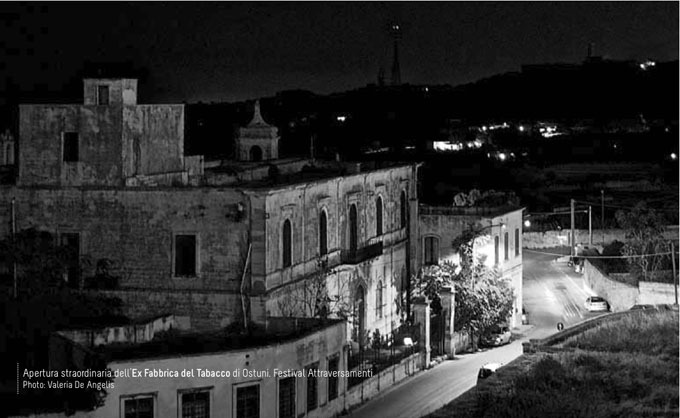 In the camp there’s a little house that belongs to the City of Rome, where the lessons are often held. This “casetta” was chosen as the site for the intervention of Giuseppe Stampone, because it is a point of visual contact with people passing by via Pontina, where the settlement is. 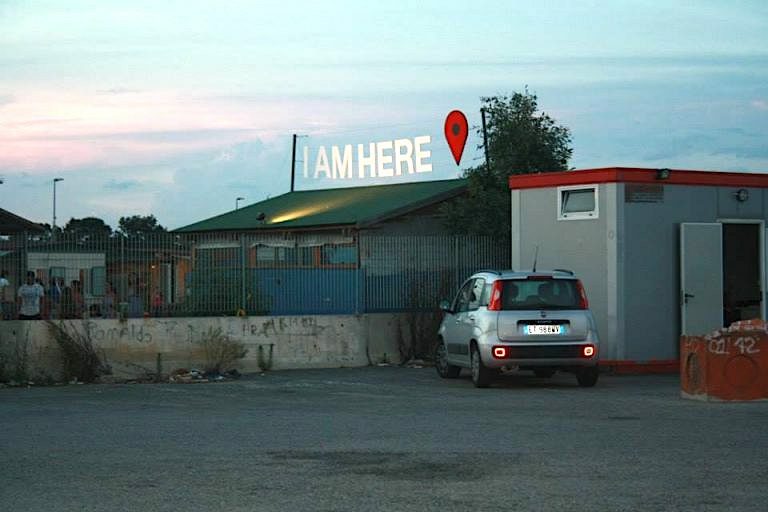 In collaboration with the network Solstizio, Stampone carries out his work, a possible screen which represents a dialogue between the settlement and the outside. “Greetings from Castel Romano” is the name that the artist has chosen for this work that continues the series of his works “Greetings from L’Aquila” and “Greetings from New Orleans”: postcards made from pictures taken on places where natural disasters have occurred, such as L’Aquila and New Orleans, to highlight the huge gap between the promises of intervention, almost never kept, and reality. This time the postcards will not be sent to the institutions, as for the previous series, but to personalities of the world of art and culture: the awareness of the difficult role that art has in the project, directs the artist to consult his international network of artists, critics, curators and intellectuals, and ask for help in finding a possible concrete solution. For many years, as part of his research for Global Education, the artist is busy training on social issue. Today the artist proposes a reflection on the role of art and the theory of its possible failure. The project is promoted by Centro per la Giustizia Minorile del Lazio with the support of arci SOLIDARIETA’ and the patronage of Municipio Roma IX EUR. The concert is organized by arci SOLIDARIETA’ and Municipio Roma IX EUR to create an opportunity of contact with Roma culture. Special thanks to the trainers from the Centro di Prima Accoglienza di Roma coordinated by Enrico Bonvecchi.